Kitani Minoru (木谷実, 25 January 1909 - December 1975) was a professional, Japanese 9-dan. He is known as the proprietor of one of the most influential dojos in go history, the Kitani dojo; teacher of several top professionals, such as Ishida Yoshio, Kato Masao, Takemiya Masaki; co-innovator of the New Fuseki Era with Go Seigen; innovator of many joseki and author of important joseki dictionaries; opponent of Shusai's retirement game; and inductee into the 2010 Nihon Kiin Hall of Fame. Kitani was a student of Suzuki Tamejiro. In 1934, Kitani won 10 straight best of three matches against other top players in a win and continue tournament run by Yomiuri. His opponents were all top players and the matches were ended when the supply of opponents was exhausted. 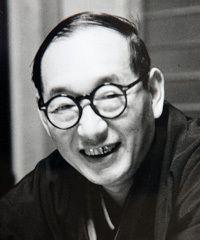 In 1954, Kitani fell quite ill, and largely withdrew from competitive play, while still an 8 dan. In 1956 he returned, winning the Sankoi? and achieved 9 dan status. In 2010, he was posthumously inducted into the Nihon Kiin Hall of Fame. His daughter, Kitani Reiko, was a professional; and his wife, Kitani Miharu, wrote a book about the Kitani dojo. Kitani's go is the go of an idealist, of someone who stubbornly builds up his faith step by step. His go is slow-moving, but he fights with an irresistible power. When I was around 6-dan (1974), I experimented with his style, but carrying it through was beyond my strength.